A real working logging railway, with steam in use on a daily basis. The last steam logger in Europe, possibly the world. We rode working logging trains, or a railbus following the trains. 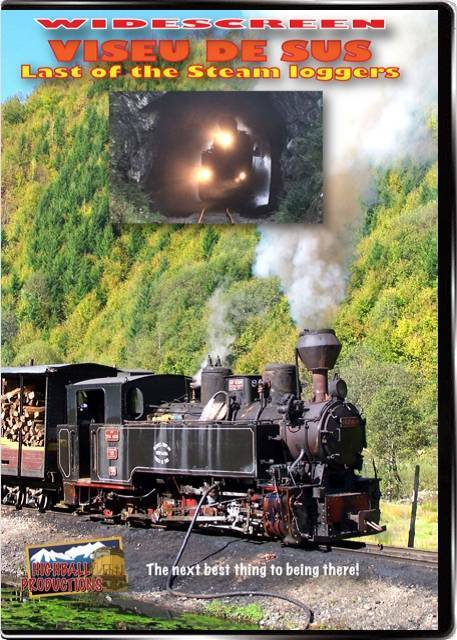 In addition to the trains and the people, in Romania's Water Valley in perfect fall weather, you'll be chased by a train, see logging disconnects being loaded, the daily activity in Viseu, realigning track with a crowbar, and see a derailed loaded disconnect being rerailed, 3 ring circus doesn't begin to describe it! Plus you'll see a couple of diesels, and some of the bizarre truck/van hirailers, including firey cold starts. OSHA would have a fit, hard hats? safety goggles? Some great stack talk! Narration on/off feature.